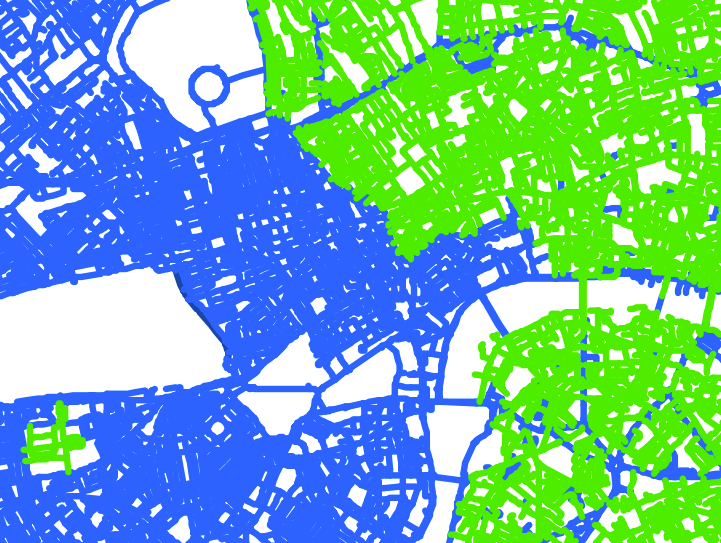 As London swelters a heatwave, people in search of a cooling waterside stroll might notice that London doesn’t apparently have many rivers. There is of course the mighty River Thames, and a few others here and there visible. 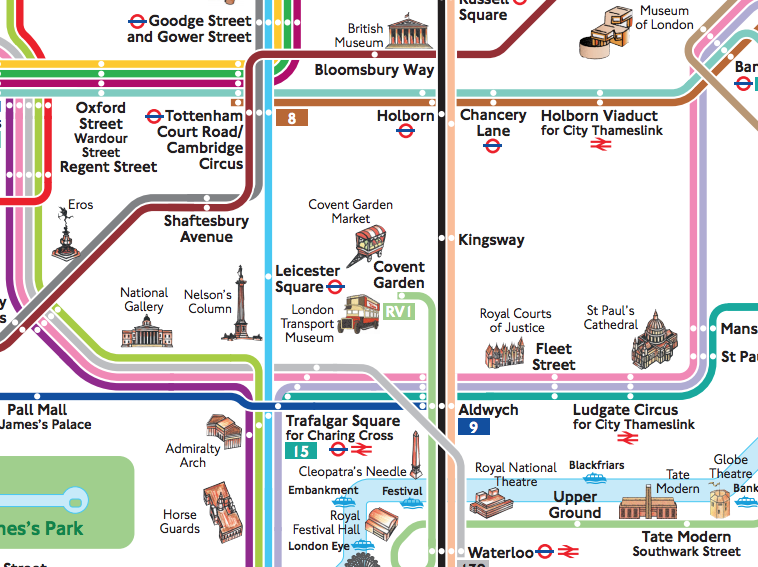 But there are many more that you don’t just come across – they are just hidden underground. 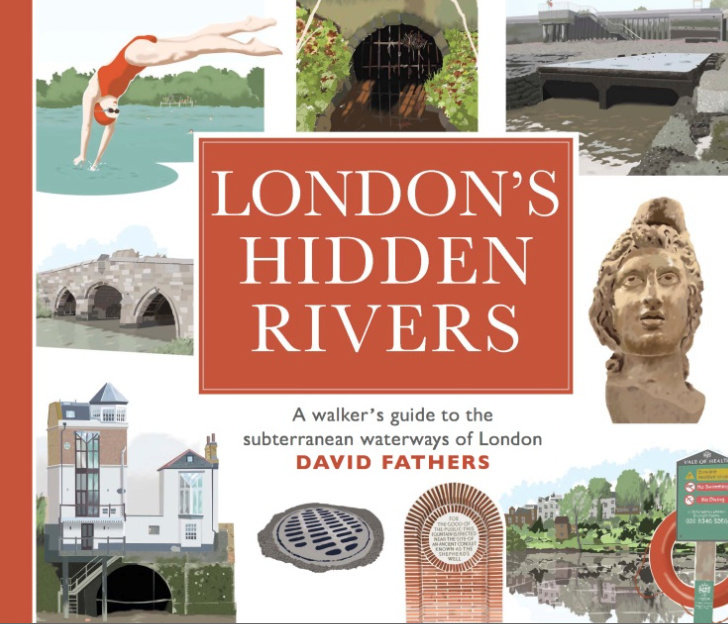 The book London’s Hidden Rivers, which launches this week, is the third in a London waterways trilogy of water-themed books by David Fathers, following a guide to the Regent’s Canal and to the River Thames. 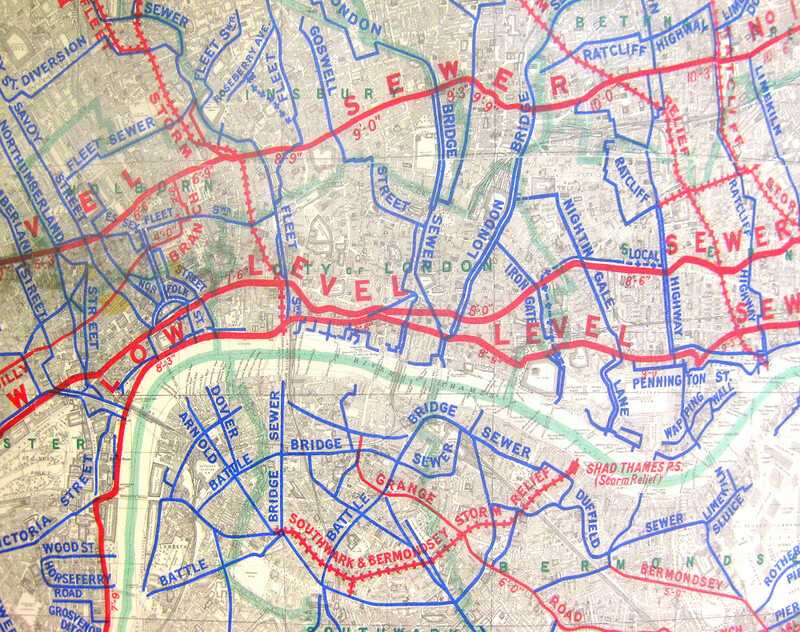 Like the others in the series, the book is full of attractive maps showing the route of the rivers (here shown as pipes) and the nearest walking route (shown with red dots). 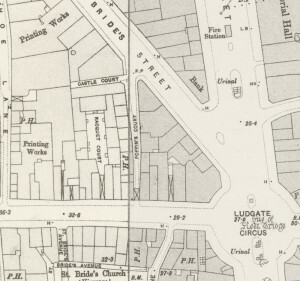 It is also crammed full of interesting tidbits about the rivers themselves, and indications of their existence on the surface, such as nearby roads with appropriately watery names. 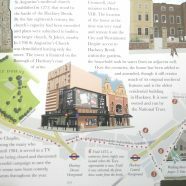 Other landmarks that are positioned on or near the route of the culverted water channels are also mentioned, with attractive sketches showing them in context. 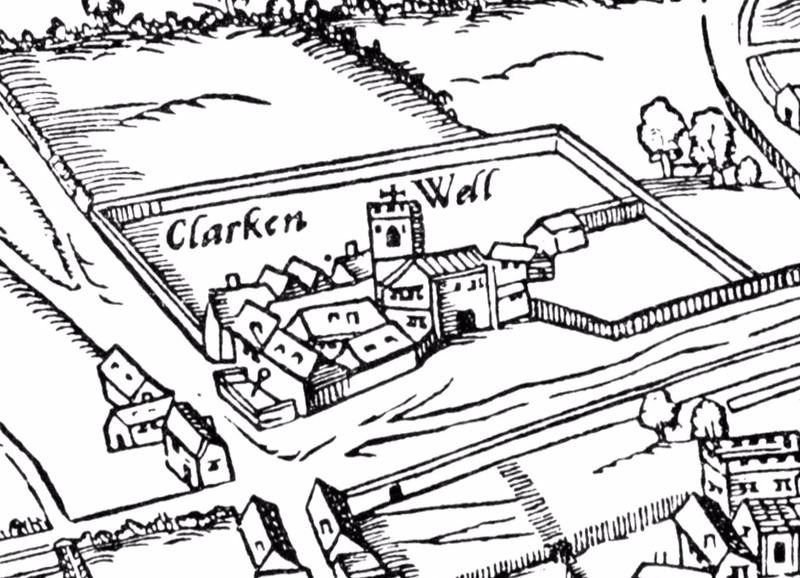 There are twelve subterranean rivers featured – some are quite famous, such as the River Fleet (of Fleet Street fame) and River Tyburn, while some, like the River Neckinger (which drains the low-lying area around Bermondsey), or the River Peck (Peckham is named after it) are less well known. The visual contents page (with a map showing the position of all the rivers in the book) is rather wonderful. 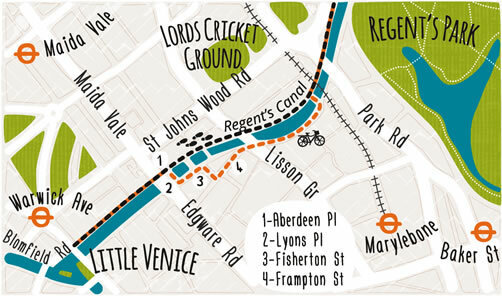 A Londoner, seeing the contents page, might suddenly realise they are probably closer to a river than they thought. 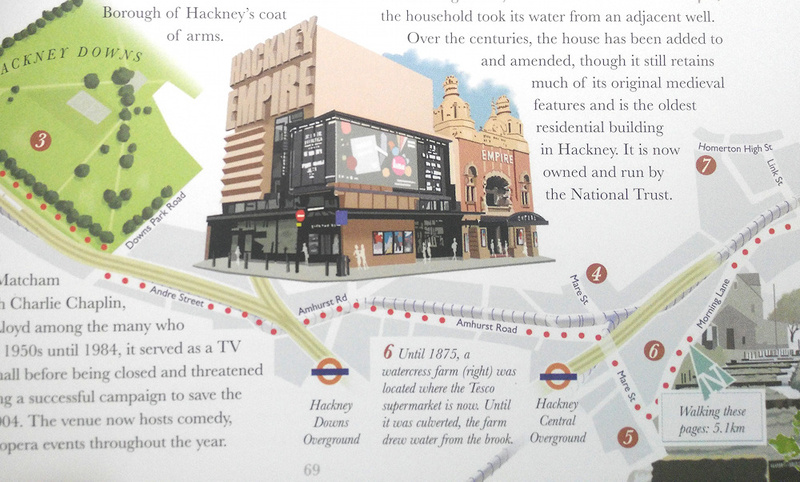 The clear and attractive maps, and consistency and attractiveness of presentation make this a lovely book just to idly read through, or alternatively it is an ideal guide book to walk the routes yourself. It is clear that the author has considerable passion for the subject, and has created a work of the highest possible quality, design and accuracy. The book runs to just over 100 pages and is published by Francis Lincoln Ltd. It is available to order from Amazon and other bookstores. Thank you to Francis Lincoln Ltd for sending a review copy.